Chart your own professional future. Because where you work can make all the difference in the world in your job satisfaction. Why not? Now is the right time. Unemployment is low and there is a labor shortage, so you have choices in jobs! This means that you should act with purpose in choosing where you work. Figure out what is important to you and then, while interviewing, ask questions that help you learn about the company and if it is a place where your needs and values will be met. If diversity is a critical value for you, it should be as well for the organization at which you work. How can you determine how important diversity is to an organization just from an interview? You will want a sense of this before deciding whether or not to accept an offer of employment. You can acquire this information during an interview by asking questions like the following, observing, and listening. How does the organization ensure diversity among its staff? How does it ensure future equal opportunities for everyone? Find out what you can about the organization’s systems, policies, and practices. In answering these two questions they should first address recruiting and hiring policies and practices. For example, where do they advertise for positions? Do they work hard to identify recruiting sources that would be seen by diverse candidates? What about after they are hired? You can ask about systems for identifying internal candidates for promotion as well as for offering employees training and development opportunities. How does top management show support for diversity? Does the organization offer support in any way? For example, are there alliance or employee networking groups? Does the organization support these groups via offering time or space to meet? Do they offer benefits for partners as well as spouses? Do they use gender-neutral language? What percentage of top management are women and minorities? According to Catalyst, a global non-profit research organization, the percentage of senior roles held by women decreased in 2018 to 21%. This number can serve as a point of reference for you. How does the organization ensure that minorities are included as key decision makers? Whereas percentage of leadership is a relatively straightforward question, you may want to know that minority employees are not just figureheads and that they truly have a seat at the table. This may be a difficult question for the interviewer to answer. If it is, that can be taken as indication that it is not a priority. In addition to questions, you can determine a great deal about an organization by observing and listening. Diversity Statement. 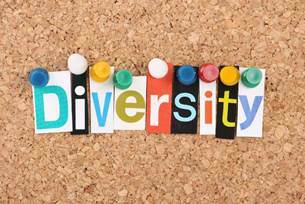 Many organizations use a statement that attests to their commitment to diversity. Of course, just because there is a diversity statement does not necessarily mean those values are truly applied. However, it does at least indicate that the organization aspires to do so, and hopefully you will see evidence of not only tolerance, but an embracing of differences into daily operations. Diversity of employees. You can scan the workplace and if possible, the organizational structure. Can you see diversity in race, gender, and age? Are there pictures of leadership on the wall? Do all the leaders look alike or is there diversity? Do you see symbols of acceptance? Does it look like there is a sense of community? Analyze the level of diversity and inclusivity you can see, which can be a great deal, despite just visiting for an interview. Stories. Organizations often tell stories to celebrate achievements. Who are they telling stories about? How are they relaying the information? What words are chosen and what acts are celebrated? These stories indicate a great deal about an organization’s values. Titles and references to people. How are people addressed? I once had a boss who called me by my first name but called the men “Mr. so-and-so.” To me this was an indication of respect for the men and lack of respect for me. You want a boss that uses titles and addresses people equally who are at the same level, regardless of gender, age, race, etc. These questions may be particularly important for you if you have any concern that you will be marginalized and not have the opportunities you deserve. That said, they should be questions asked by everyone in an interview. An organization that values diversity is one that will benefit from increased creativity and performance as well as reduced turnover. It will also improve employee engagement, ability to relate to diverse customers, and the company’s reputation. Rose Opengart earned her Ph.D. in Human Resources & Organizational Development. She is the owner of HR Doctor, a human resource consulting company, and an Adjunct Professor.Dr. Opengart also holds professional certification in HR and has experience working as a career coach and in the human resources management field, as well as in academia. She has presented research at many international research conferences and published articles in academic journals and trade magazines. Her articles have been seen in newspapers, The Employment Digest, Job Seeker Weekly, Job Market Weekly, Workplace Fairness, and The Edge Business Magazine. She can be found on LinkedIn and at www.hrdoc.biz.